A European research consortium comprising Spanish, French, Italian and German universities and companies is working on the development of an unmanned robot, equipped with non-invasive advanced sensors and artificial intelligence systems, which will help manage vineyards. 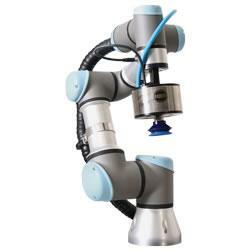 01/29/15, 10:27 AM | Industrial Robotics, Unmanned & Other Topics | ABB Inc. The new catalog (application guide) is available for free download and on flash drive by request. Join artists, hackers, makers, DIYers and educators at the Boulder Mini Maker Faire at the Boulder County Fairgrounds. The trade show, organized by UBM Canon, features eight expositions including WestPack, PLASTEC West, Electronics West, AeroCon West, Pacific Design and Manufacturing, ATX West and Quality Expo, with a total of over 2,200 suppliers across a plethora of markets. Milan, Italy / January 2015 - "Robots. The New Era - Living, working and investing in the robotics society of the future" is a new multimedia e-book written for a general audience and helps readers understand why Robotics is going to lead to a radical change in how millions of people live, work and invest in the stock market. Gstarsoft carry out GstarCAD 2015 New Year Promotion together with its distributors, in which users will get a $30 OFF for purchasing GstarCAD 2015, or $10 OFF for upgrading GstarCAD to the latest version. Promotion Regions include Europe, the United States, and Canada.